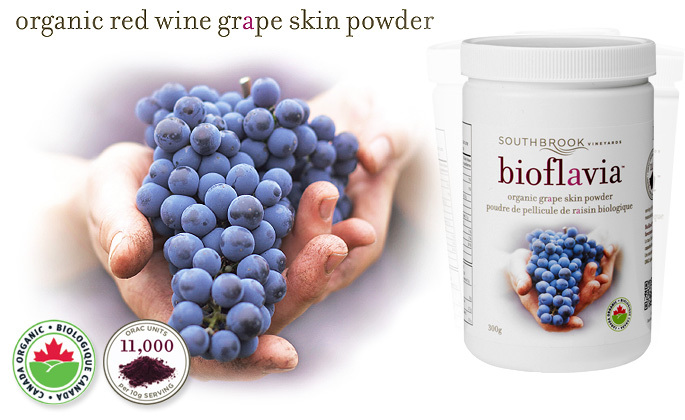 Bioflavia™ by Southbrook Vineyard | Bioflavia™ Organic Grape Skin Powder – Kosher, Raw, & Fermented for a pure and healthy dietary supplement. Lower blood cholesterol and triglyceride levels. Lower your risk of colon cancer, heart disease, and digestive problems like diverticulosis. Improve blood sugar in people with diabetes. Control weight gain by making you feel full so that you eat less. Keep your digestive system healthy and prevent constipation. *Buy 2 get 1 free* There are many ways to enjoy Bioflavia and one of the most common and easy ways is to make delicious, healthy and quick smoothies. Have a look through our recipes page for information on how to use your Bioflavia. 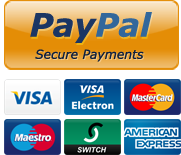 If you have any of your own recipes please feel free to pass them along to us. It is recommend that we consume between 7-10 servings of fruits and vegetables daily to obtain our daily intake of antioxidants. Due to today’s busy lifestyles this is not always possible and as a result we typically do not consume the recommended daily intake of antioxidants. Read more about how Bioflavia can give you a powerful antioxidant boost.